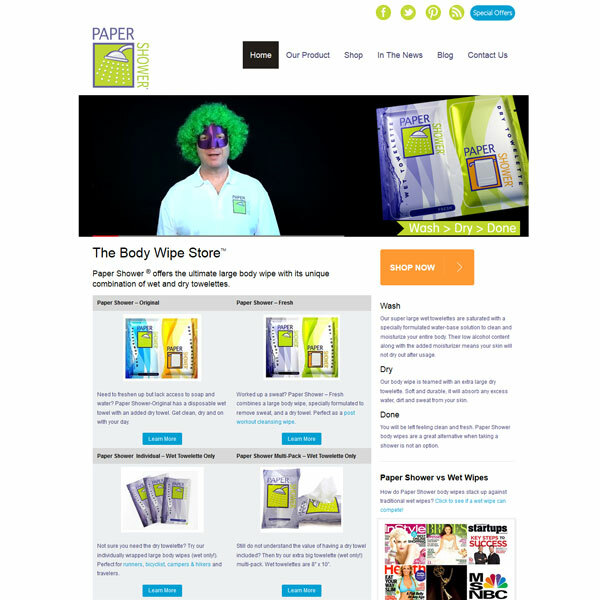 Paper Shower contacted us looking to take their existing web site to the next level. Their old site made the user work too hard to understand their innovative product – a large body wipe combined with a dry towelette, and despite great PR coverage, the site was performing extremely poorly in the search engines. We reworked both the brand, design and content and fine-tuned the site with a carefully researched set of key words. The result, a site that is easy to use, understand and is on page 1 on Google for our selected keywords.